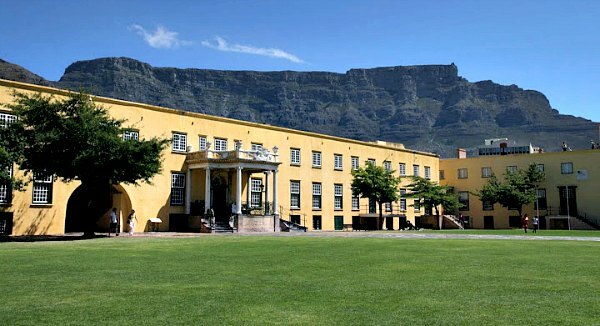 The Castle of Good Hope in Cape Town is the oldest building in colonial South Africa. It’s an ancient fort which dates back to the 1660s and was constructed by the Dutch East India Company (VOC). The idea was that it would provide a safe replenishment station for all their ships when they arrived in port. 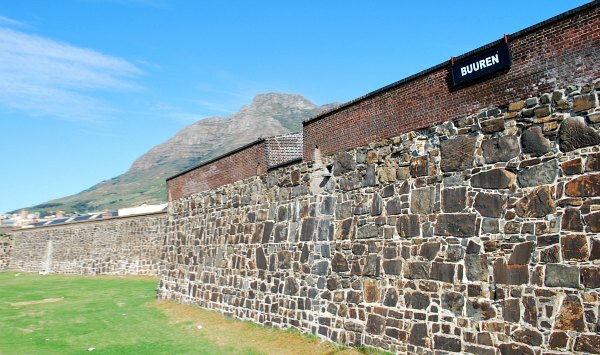 The castle is a military fort these days and is one of Cape Town’s most visited attractions. It houses a military museum inside, but we enjoyed visiting just to get a better look at the building and learn about its history. There are lots of things to see inside the Castle of Good Hope including the Castle Forge replica, the huge collection of swords and the semi-circular balcony overlooking the parade ground where announcements were made to the assembled soldiers. Guided tours take place at 11am, 12pm and 2pm (except Sundays). Another interesting moment to see is the ‘Key Ceremony’ which takes place at 10am and 12 noon on weekdays, followed by the firing of the Signal Cannon. 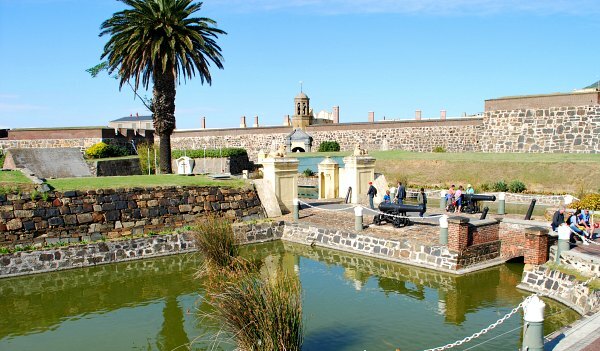 The Castle of Good Hope is open daily from 9am until 4pm. Adult admission is 30 Rand (2014 prices). There is a nice restaurant on site and a curio gift shop too. The Castle of Good Hope is located in the centre of Cape Town next to Grand Parade. The Cape Town Hop-on, Hop-off Bus Tour stops nearby.